I probably should have known I wasn’t going to enjoy this. I am yet to actually like a Coen brothers film. It’s not that they make bad films, they’re just not my cup of tea at all. They tend to be pretty drab, and from memory, not a lot happens. I’m not actually sure because I’ve forgotten what most of them were about. For those of you unfamiliar with Ethan and Joel Coen’s work, they are co-directors and screenwriters of the Oscar-winning No Country for Old Men (2007), along with True Grit (2010), Burn After Reading (2008), The Ladykillers (2004), The Big Lebowski (1998), and Fargo (1996) among others. I’m sure many will be quick to judge my taste in films as some of these are highly lauded by movie lovers. I should mention that I haven’t actually seen The Big Lebowski or Fargo so I’m not making any judgements about those, although I probably won’t seek them out. I have seen Intolerable Cruelty (2003) however, and the title pretty much sums up the movie experience. 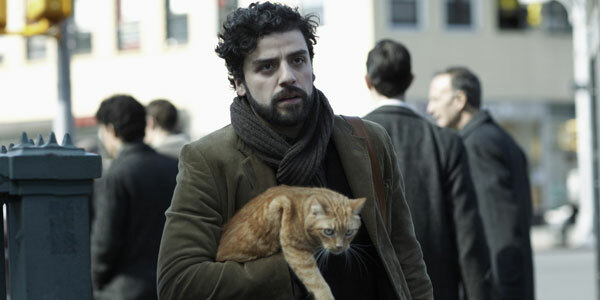 I was willing to give Inside Llewyn Davis a go because there were a number of factors that attracted me. It’s based partly in Greenwich Village, New York, it is a semi-musical (though I knew I wouldn’t love the music), and it included Carey Mulligan and Justin Timberlake in supporting roles. Unfortunately the folk songs almost put me to sleep a few times, and Timberlake only appears in two or three scenes. Mulligan gets a bit more to do and was very good, but is missing for a big bulk of the film. There were a few comedic moments which I definitely appreciated, my favourite scene being where Llewyn records a deliberately terrible song with Timberlake and Adam Driver. (To be honest, I liked that song the best – it was definitely the most entertaining). 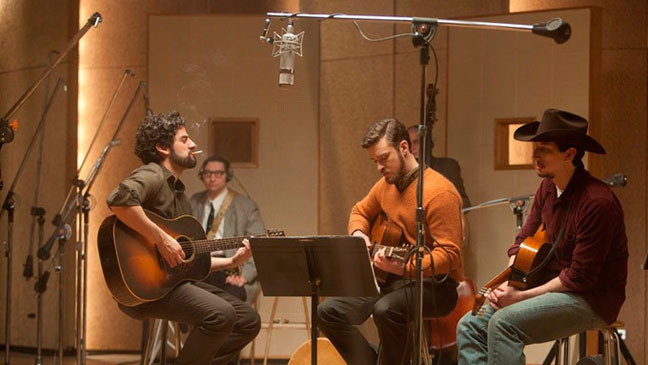 Oscar Isaac stars as Llewyn Davis and thankfully, he put in a great performance, both with his singing and acting. However, his character is not at all likeable. The loose plot is centred on his attempts to break into the folk music scene and his hopeless drifter-like life. I thought the ending was pretty crap and didn’t even quite get it until I read some interpretations online. But overall it was one of those films where it ends and you just wonder “What was the point?” And the point seems to simply be: this guy is a loser. But not in a cool psychopathic way, but just in a nothing kind of way. And that doesn’t interest me. Maybe it will interest others – I know some have hailed it as a masterpiece. If you’re a Coen brothers fan, check it out. If you’re not, don’t bother.